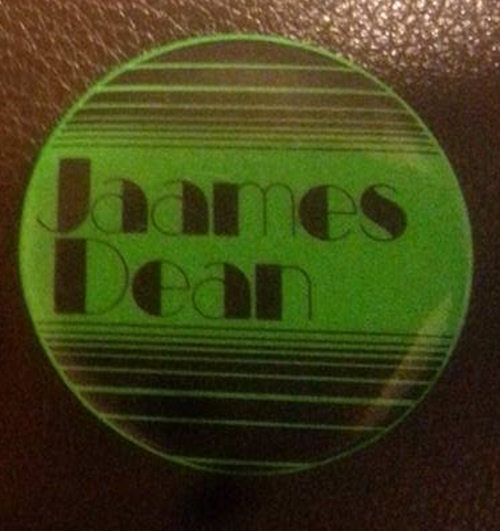 "I'm in Pittsburgh (And It's Raining)"
Jaames Dean - Promotional Button 1980? Here is a cool scan I got from Jonna Hayes. Not sure of the year it came out. Thank you Jonna. I look forward to seeing more of your hidden treasures. 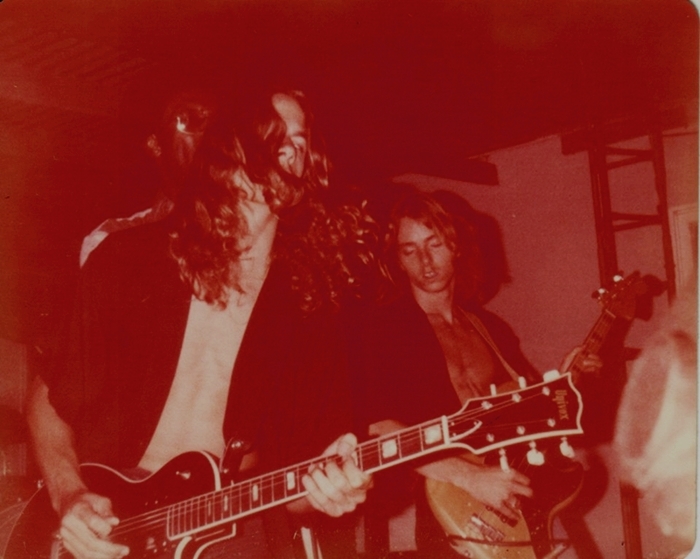 Black Sunrise - Concert Photograph 1979 or 1980?? Here is the first photograph of Black Sunrise I have seen so far. Great one of Mark Stone and Kim Calvert. This one came from Mark's collection. I hope he posts some more. I will never forget 1st period Gym class. Having David & Mark in my Gym class sorta felt like Jimmy Page & Joe Perry was at Savanna with me. I always wanted to get their autographs but they made me their roadie instead. Rickenbacker Meatball "Paul Azpeitia" "Jesse Rowe" "Jayme Carden" "David Carey" Triumph "Hell on Wheels"
If you were at any of the shows that I have posted here please leave a comment of what you remember. Share your memories! 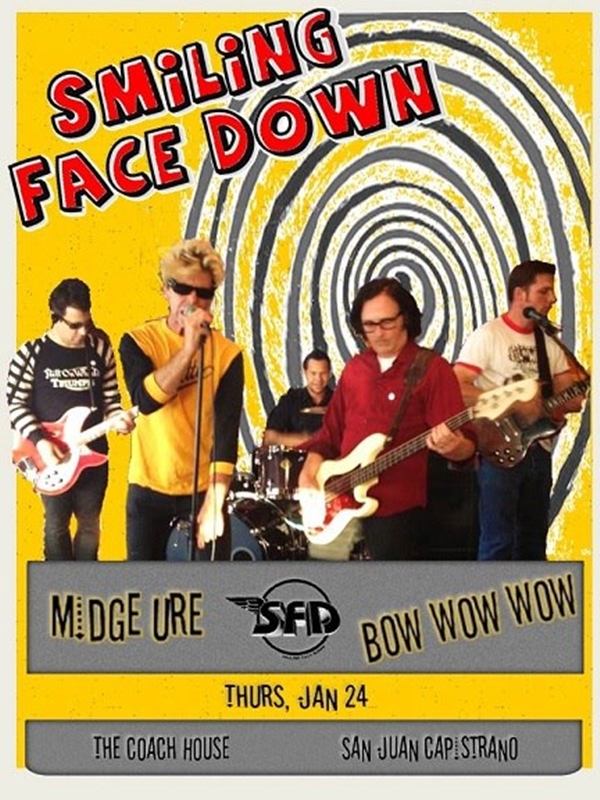 I'm also looking for Jaames Dean, Anxietea, The Cone Of Silence, Circles & Squares, LAT handbills, photos, audio & video.